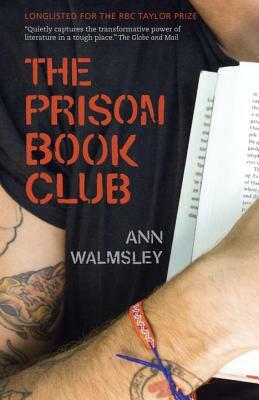 A daring journalist goes behind bars to explore the redemptive power of books with bikers, bank robbers, and gunmen. An attack in London left Ann Walmsley unable to walk alone down the street, and shook her belief in the fundamental goodness of people. A few years later, when a friend asked her to participate in a bold new venture in a men's medium security prison, Ann had to weigh her curiosity and desire to be of service against her anxiety and fear. But she signed on, and for eighteen months went to a remote building at Collins Bay, meeting a group of heavily tattooed book club members without the presence of guards or security cameras. There was no wine and cheese, no plush furnishings. But a book club on the inside proved to be a place to share ideas and regain a sense of humanity. From The Grapes of Wrath to The Cellist of Sarajevo, Outliers to Infidel, the book discussions became a springboard for frank conversations about loss, anger, redemption, and loneliness. The books changed the men and the men changed Walmsley. ANN WALMSLEY is a magazine journalist whose work has appeared in The Globe and Mail and Maclean's. She is the recipient of four National Magazine Awards, a Canadian Business Journalism Award and two International Regional Magazine Awards. She founded her first book club at age nine. She lives in Toronto with her family.